Learn English Online! Study, Practice, Test yourself, Improve your exam skills! 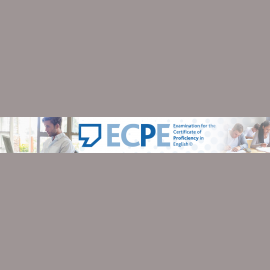 We offer a variety of online courses, activities and tests for those who want to practice and improve their English, or even prepare for an examination. 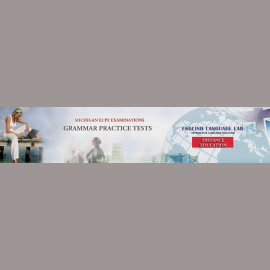 Lower: ECCE Grammar Practice Tests, ECCE Vocabulary Practice Tests, ECCE Reading Practice Tests, ECCE Listening Practice Tests. 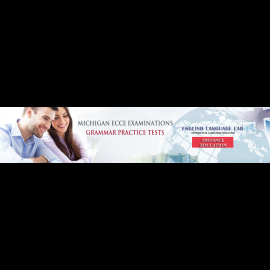 Proficiency: ECPE Grammar Practice Tests, ECPE Close Practice Tests, ECPE Vocabulary Practice Tests, ECPE Reading Practice Tests, ECPE Listening Practice Tests. 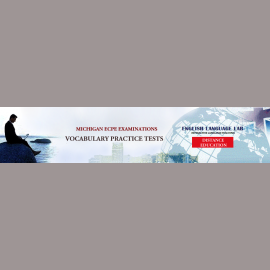 Free online tests for evaluation purposes. To gain immediate access to all the free staff on this site, the only thing you have to do is to create a free account for yourself. After you have created your free account, select the course you want to enroll and click on the link. On the course enrollment page, click the "Enroll me" button to enroll yourself and gain instant access to the tests.